Barbara Ficarra is an award-winning broadcast journalist, health educator, HEALTH DESIGNER™, featured writer at The Huffington Post, international speaker and registered nurse. She is on the Advisory Board at Sharecare, and Advisory Board member for Health Informatics for the University of San Francisco School of Nursing and Health Professions. She is creator, executive producer and host of the former award-winning Health in 30® radio show, a live 30-minute program that brought listeners the latest health information, and empowers listeners to take charge of their health. Barbara has received multiple awards for her health journalism, including the Journalism Award of Excellence from the American College of Emergency Physicians. The winning program, “Ins and Outs of the ER” covered what patients should expect in the ER and the challenges created by crowding and waiting. Barbara is former Senior Director Clinical Affairs for Numera Inc., a telehealth company. She is on the Advisory Board and is a consumer health expert for Sharecare, a site founded by Dr. Mehmet Oz and Jeff Arnold (founder of WebMD). She is a guest blogger for many health sites including, TheHealthCareBlog, KevinMD, Healthcommentary, DrGreene, and HIMSS. She is a featured blogger on Getbetterhealth, and writer for Healthworkscollective. She is an international speaker at professional conferences, and her presentations range from patient engagement and empowerment, health care social media networking, healthIT (mHealth, gamification, telemedicine) to professional development and media training. As medical contributor to Real Simple Magazine she offered her clinical and administrative expertise. Barbara is also experienced in video production as host and executive producer for Web/TV creating content surrounding the nursing and medical profession. She served as faculty at the American Medical Association’s Medical Communications Conferences, served on the board of the National Association of Medical Communicators, and served on the Academy of Judges for the International Health and Medical Media Awards. Barbara has offered expert advice to a variety of organizations and individuals in health care, including New York Times Health and Time Warner. Barbara consulted with pharma companies on Social Media. She is mentioned or quoted in PharmaVOICE, The Observer, TED Blog, ZocDoc, REAL SIMPLE Magazine and nursing magazines and journals. She is published in Latin Times Magazine and Practice Fusion. Barbara is on the front lines of health care. She is an Administrative Head Nurse (Administrative Supervisor) at a large university medical center and covers multiple medical and surgical units; including critical care, oncology, cardiology, psychiatric unit, women’s and children’s services, and emergency trauma department. She is multifaceted in her clinical experience, ranging from oncology to general medicine and surgery. She is a hospital leader, clinical and administrative manager; she supervises various aspects of patient care; and is a coordinator, problem solver and resource for staff, physicians, patients and families. Barbara is a patient advocate who always encourages patients and their families to be proactive and take charge of their health. Barbara has been quoted as an expert in health care for multiple journals and magazines. 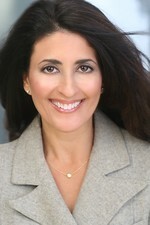 Her professional affiliations include the Association of Health Care Journalists (AHCJ), New York Women in Communications (NYWICI), Microsoft Health Users Group (MSHUG), HIMSS (Healthcare Information Management Systems Society), and American Telemedicine Association (ATA) and she is president of Barbara Ficarra Productions, LLC. Barbara is chairperson and member of the Academy of Judges for the Sharecare Awards. More on Barbara may be found here and here. Health in 30® Radio Show is a half-hour program that brings listeners the latest health and medical news and information with leading medical experts. Host Barbara Ficarra, RN, BSN, MPA, conducts lively discussions with experts and listeners on a wide variety of health topics. The program airs live Thursdays from 5:30 p.m. to 6:00 p.m. EST on WRCR. The program can be heard online anytime via the Healthin30.com website. Our schedule of upcoming shows and our archive of past radio shows can be viewed here. The Healthin30.com website provides access to previous Health in 30® Radio shows, content written by the show’s medical expert guests, and Barbara’s articles and blog entries. Barbara’s blogs on Healthin30.com offer practical advice for spectacular health, focusing on prevention and patient empowerment and she shares a nurse’s inside perspective on healthy living and personal health, as well as the latest legal and political health care issues making all the headlines. Barbara sorts through latest research and provides readers with relevant information without any of the confusing medical jargon. Barbara is dedicated to delivering you accurate, balanced, reliable and trustworthy health and medical information. She’ll help guide you so you can make informed decisions about your health. Healthin30.com empowers health consumers to take charge of their health and to enjoy every day. Healthin30.com’s free newsletters include the best tips from each show and encourage consumers to take charge of their health.